Charlotte Vanhove in her 50s. Courtesy of Bibliothèque nationale de France. Charlotte Vanhove (also known as Caroline Vanhove, Caroline Petit-Vanhove, or Cécile Caroline Charlotte Vanhove) was the daughter of two actors of the Comédie-Française named Charles-Joseph Vanhove and Andrée Coche. Vanhoe was born at the Hague on 10 September 1771, and many people claimed she was destined for the stage from an early age. Louise-Françoise Contat. Courtesy of Bibliothèque nationale de France. During Vanhove’s early years on stage, one rival was Louise-Françoise Contat, whose first success was in Beaumarchais’s Mariage de Figaro in 1788. Contat was said to be a great comedic actress. Yet despite her success, she felt threatened by Vanhove, even though many people considered Contat queen of the stage. To reduce the threat, Contat attempted to play off her sister Emilie against Vanhove. Unfortunately, for Contat, Emilie was a horrid actress with no talent and there was no competition between Vanhove and Emilie. On 8 August 1786 Vanhove married Louis-Sébastien-Olympe Petit. She had met him at the Théâtre-Français where Petit was a violinist in the orchestra. Apparently, however, he was a drunk and she never had any real affection for him, so, it was not surprising that the marriage did not last long. Vanhove reportedly left Petit shortly after their marriage, and they divorced a few years later in 1794. 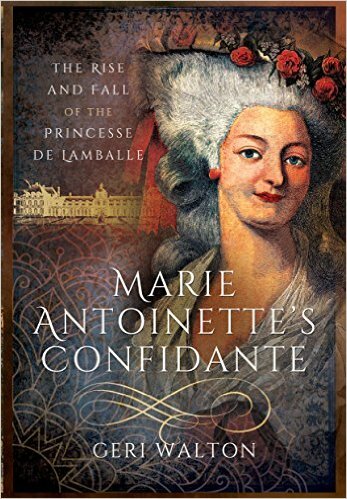 After the French Revolution began, Vanhove found herself in serious trouble. It occurred after she performed on 1 August 1793 at the Comédiens Français in a five-act verse comedy called Paméla ou la Vertu récompensée. The play was based on a novel by the English writer Samuel Richardson that Nicolas-Louis François de Neufchâteau had adapted for the stage. However, the Committee of Public Safety thought Naufchâteau’s version was too sympathetic to the Royalist cause. On 2 September 1793, the Committee of Public Safety ordered the arrest and imprisonment of the author and cast in the play. Vanhove was imprisoned at Sainte-Pélagie prison and remained there for five months. Julie Careau. Courtesy of Wikipedia. After her release, Vanhove continued to act. It was also around this time in 1794 that Vanhove met one of France’s most famous actors. His name was François Joseph Talma, and, at the time, Talma was married to an older woman named Julie Careau. Careau was rich and talented, and she held a salon that was popular with many high-profile Girondists. Talma was also friendly with revolutionaries too. For instance, he had close friendships with Georges Danton and Camille Desmoulins. Talma was also an intimate friend to Napoleon. Their friendship was close enough that in 1808, Napoleon took Talma to Erfurt, where he had him perform Mort de Cesar for several crowned heads. During the time Vanhove was having an affair with Talma, she began to improve her financial outlook. 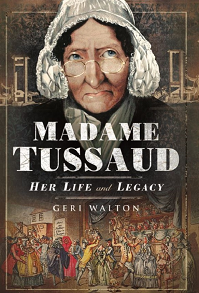 Beginning in 1798, she joined with her father and they began investing in property and estates throughout France. In addition, Vanhove and Talma’s affair began to be well-publicized and became common knowledge. Despite everyone knowing about the affair and Talma wanting a divorce, Careau would not divorce him. She might never have agreed to a divorce if it had not been for an embarrassing incident that occurred while Vanhove and Talma were acting in the same play. There was also an actor in the play portraying Vanhove’s lover. During one scene, Vanhove’s stage lover was supposed to carry her off stage. Talma. Courtesy of Bibliothèque nationale de France. It was under such circumstances that an unhappy Careau, half-ruined, alone, and thoroughly disgraced accepted the divorce. She and Talma divorced on 6 February 1801. Talma and Vanhove then married on 16 June 1802. However, a happy marriage was not in their future. One problem that quickly surfaced after the marriage was that Talma was a spendthrift and always in debt. Moreover, despite Talma’s income, Vanhove’s money, and his relationship with Napoleon, his debts began to overwhelm him. Talma also took a mistress soon after his marriage to Vanhove. Thus, Talma’s debts and mistress caused Vanhove to want out of the marriage, and she requested a divorce. He refused, but Vanhove was able to recover a substantial portion of her money and left Talma. After leaving the stage, Vanhove began to devote herself to the arts. She painted, drew, and wrote. In fact, she produced several books in the early 1800s. These included Edmonton and Juliette in 1820, The Castle of Valmire in 1821, The Venetian in 1822, The Guilty Bride in 1824, The Bonbonniere of Studious Children, Amusing, Instructive and Interesting Stories in 1828, The Kind Teacher in 1833, and The Theatrical Act in 1835. On 31 May 1828, two years after Talma’s death, Vanhove married a third time. This time she married a widower and longtime friend, named Jacques-Antoine-August Chalot. Chalot had been honored as a vanquisher of the Bastille, served as a Lieutenant-Colonel of the cavalry, and became an officer of the Legion of Honor. He was also created chevalier on 23 December 1815. Chalot died on 7 January 1848, and Vanhove survived another twelve years, dying in Paris on 11 April 1860 at the age of 89. Newspaper reminiscences of her life were brief. They provided nothing more than a few lines in which it was noted that she was a comedic French actress and that she had been married to Petit, Talma, and Chalot. All the Year Round v. 20; v. 40 (London: Charles Dickens, 1878), p. 186. Northern Whig, “Presence of Mind on the Stage,” March 31, 1877, p. 6. Henry Sutherland Edwards, Madeline Guimard. Madame Dugazon. M’lle. Clairon. M’lle. Contat. M’lle. Raucourt. M’lle. de Saint-Huberty. Rachel. Sarah Bernhardt (London: Remington, 1889), p. 97. The Atlas, “The Player’s Life,” April 7, 1860, p. 12. Morning Post, “A Judgment of Paris,” April 9, 1839, p. 2. Paul Cheramy, A Favourite of Napoleon (New York: John McBride Company Publishers, 1909), p. 49. London Courier and Evening Gazette, “Talma,” October 24, 1826, p. 3.